I don’t think I ever realised how my mental health was being sustained by my running until last year. Getting injured in January 2017 turned my life upside down. What I hadn’t expected however was my life to crumble as a result. It turned out that the short twenty minute miles I was squeezing in around nappy changes, school runs and work was actually keeping me going. One of the hardest lessons I learnt last year was that my running was masking a problem. A mental health problem that went deeper than I ever expected. In January 2017 I felt on top of the world. I had returned to running in 2016. 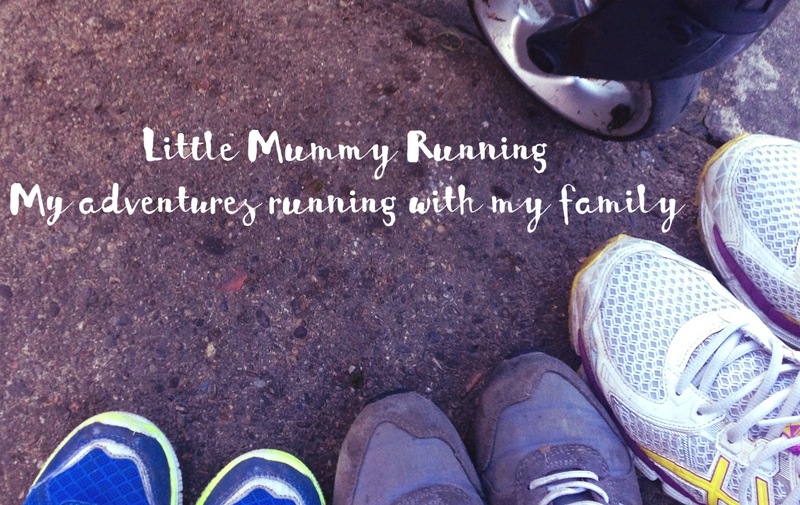 My blog had taken off and I had successfully raised over £350 for a local organisation supporting mothers with Post Natal Depression and their families. I felt strong and ready for a new challenge. My home life was pretty chaotic but my regular runs gave me enough time every day or every other day to straighten my thoughts and experience a small slice of freedom. This all ended in January 2017. After a niggle I was pushing through resulted in constant pain in my ankle, I sought medical advice. I was diagnosed with a badly sprained foot arch and told to stay off my feet. This included everything from running to walking. I was literally grounded. Weeks turned into months and I saw little improvement physically and my mental health plummeted. Eventually I was referred for an MRI and diagnosed with Posterior Tibial Tendon Dysfunction. I had always had fairly flat feet but now my foot arch had completely collapsed. It was also beyond repair. As I was waiting for diagnosis I was referred to a psychiatrist for an assessment of my mental health in relation to my pain management. After a consultation where I cried throughout, he informed me that I had scored as suffering anxiety and he believed that I had Post Natal Depression. The latter dating back to when my eldest was born in 2010. He believed that I had been supressing my anxieties and emotions and physical pain for a long time. That I had just kept pushing myself until I was physically broken. After seeing the Psychiatrist I sustained a further injury to my neck and shoulder after trying swimming as an alternative to running. It was at this point I spoke with my GP who suggested I take time off work to recover. Initially I was resistant but in reality I was relieved and quickly I fell into an abyss. Life continued as it had been, shuttling monkeys around to school or nursery, being a mummy, but in between times I zoned out. I started to realise that my brain would not switch off. It had become so overwhelmed by my life as a working mother of three, trying to keep up with everything I thought life expected of me, I just could not carry on. My recovery and treatment continued whilst I was off work. In between school runs I was attending medical appointments. Alone this time as my Little Miss was safely in nursery three days a week. Initially no-one could tell me if running would ever come back despite my constant questioning. I felt completely lost. In amongst it all though I knew that I had to save myself. Every day I looked at my three little monkeys and knew that they deserved a healthy me as their mummy. Many people suggested that I give up on running, that maybe it just wasn’t for me. I could not accept this because I craved that feeling of freedom that only running gives you. The endorphin high that helped the stress and anxieties of the day feel more in perspective. However I accepted that this could not be the only answer. I realised that I couldn’t rely on running alone to sort out my problems, that the negative thoughts that filled my head daily did not have to be the normal. I was lucky that I had been referred to a lovely podiatrist and physiotherapist who began to help rebuild my confidence. There was the addition of a personal trainer to my support squad, willing to help me tackle all my physical ailments and lost self esteem. I also accessed a counselling service through my employer. The first few sessions of which involved me crying none stop the full extent of my mental health problems began to become clear. Slowly, over time, I began to recover. After months of feeling lost, frustrated and unfixable I began to see improvements. As I learned to use my body differently and my core stability improved, running became an option again. Maybe I would never run a marathon but a 5k might be a possibility again. The day I ran my first Junior Parkrun with my boys was one of the best days of my life. Along side my physical recovery I learned to observe my emotional well-being and mental health more closely. I learnt to look for the days when I felt I couldn’t cope and take steps to acknowledge them. Not just push it to one side and run away from it. My relationships with my little family unit improved hugely as a result. Running remains a solid and dependable corner stone of managing my mental health. If I am having a hard day, I make time for a short run, even if it is just a mile. It never fails to improve my mood and straighten my thoughts. Running doesn’t make my mental health problems go away but it always helps me maintain the status quo until the dark days pass. It makes me a better Mummy. In between times I always work hard to ensure that my body is strong and ready for those days. Running has always been my saviour, but losing it gave me the opportunity to find the help I needed. I will do whatever it takes to never lose it again. What an amazing journey you’ve been on and I’m amazed you’ve been able to push through so many set backs. Thank goodness you got all that help to get you to where you are now. I haven’t had an injury but I’m feeling a little lost at the moment. I used to love running and was part of a club. I continued fine after the birth of my first but got pregnant again when she was 9 months. I think I nearly lost my mind looking after 2 young children. Then I returned to a new, full on FT job and I have no time for me. I so need to find the inner strength you have to just get back and do it. When you wake at 6.30, deal with two Little’s before work, come back at 6.30 then put them to bed at 8.30 it feels like it’s impossible to fit anything else in. But for the sake of my physical and mental health, this post has really hit a nerve. I need to reclaim some me time for everyone’s sake! Pains me to hear how rough you have had it. But also an interesting conclusion, that your physical exercise was what kept you going. I have experienced something similar with an injury followed by depression, and I also suspect that the exercise was the thing holding it back until the injury. All the more reason to keep exercising I guess.